113 calorie breakfast. I sauteed mushrooms, onions, and bell pepper in some no-stick spray. 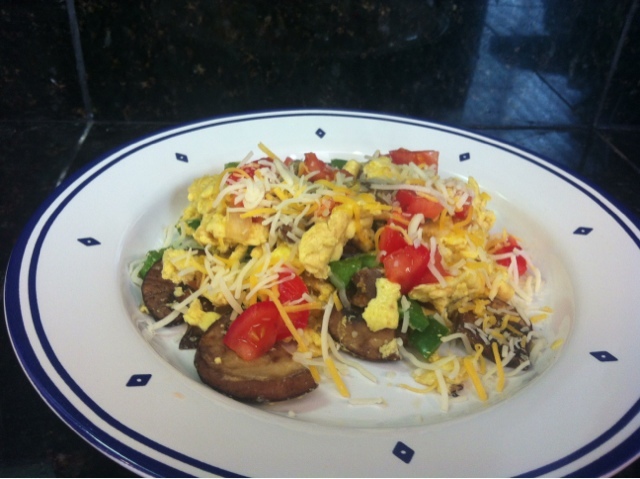 I then added in 1/2 cup of egg beaters and scrambled everything together. I topped in with a bit of diced tomato and .25 oz. of shredded cheese. This would be great served with maybe some salsa and a warm low carb tortilla.